In 1969 Ike Turner leased two albums worth of blues orientated material to Blue Thumb Records. These recordings emerged as “THE HUNTER” and “OUTTA SEASON”.18 selections from those albums are featured on this CD. 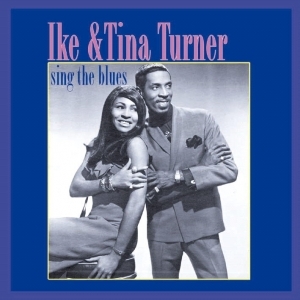 Ike accompanies Tina’s terrific vocals with his blistering blues guitar across a selection of songs associated with such blues greats as Jimmy Reed, Lowell Fulson, B.B.King, Albert King and Junior Parker. Includes the US hit singles “Bold Soul Sister” and “I’ve Been Loving You Too Long”.